SpaceTEC Board of Directors met on August 9 with the Space Coast Consortium Apprenticeship Executive Committee and approved the Consortium to operate as an autonomous sub-committee under the umbrella of SpaceTEC. The Space Coast Consortium Apprenticeship Sub-Committee is comprised of the Consortium Executive Committee members, Kai Schmidt, Committee Chair (Airbus OneWeb Satellites), Mark Sutton, Committee Secretary (RUAG Space USA) and Steve Kane, Executive Director for SpaceTEC representing 11 participating consortium member companies. As an autonomous Sub-committee of SpaceTEC, the sub-committee will have the authority to make decisions as industry leaders to implement and manage an apprenticeship program that directly suits the workforce talent pipeline needs of the Consortium. 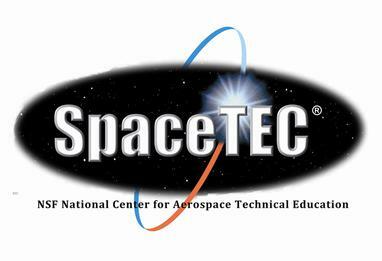 SpaceTEC will provide the general administration and fiscal transparency required of the program through its 501c3 status and will assist as the Principal Investigator to seek federal, state and local funding to support the apprenticeship program. "SPI is honored to join with the Space Coast Consortium Apprenticeship Program to assist in the creation of a continuous pipeline of skilled technicians capable of supporting a new generation of aerospace advanced manufacturing and launch operations emerging in Central Florida," says Steve Kane, Executive Director. The consortium is in the process of registering the program with the Florida Department of Education and has selected six world-class advanced manufacturing occupational apprenticeship standards. These occupations are Advanced CNC Machining, Mechatronics Technician, Industrial Mechanic, Electronic Technician for Aviation Systems, Advanced Sheet Metal Fabrication, and Fiber Composites Manufacturing Technician. To date, the consortium has expressed a need for a total of 30 apprentices, though this number is expected to expand before the scheduled January 2019 start date. “RUAG Space USA is very committed to apprenticeship programs as they provide valuable training opportunities to talented young people, and at the same time, strengthen our workforce in the long term. The RSU team looks forward to expanding in this competitive market with globally competitive personnel,” says Mark Sutton, RUAG Space USA Plant Manager. Airbus OneWeb Satellites is currently setting up a “4.0 Industry” satellites serial production facility close to the Kennedy Space Visitor Center. Two assembly lines will include state-of-the-art automation, test equipment, and data acquisition capabilities to shorten assembly times and provide means to analyze factory performance and process improvements. Initially, we will train our staff - manufacturing associates - “on the job”, directly at our production line. In parallel we are highly engaged in setting up this dedicated Apprenticeship Program to fill our special skill needs mid- and long term. We and our industry partners are customizing the curriculum and training procedure according to our needs. SpaceTEC Partners, Inc. (SPI) provides third-party testing as an independent measure of prospective technician job knowledge and skill acquisition. In addition, SPI's internationally accredited, industry-driven, nationally-recognized credentials reflect the competencies employers demand for those seeking employment in aerospace, aviation, and advanced manufacturing industries. Kamm Consulting Group, LLC is a Florida-based company that provides site selection consulting for German-speaking companies in the US and assists in GAP (Germanic Apprenticeship Program) implementations within their local communities. For more information about Kamm Consulting, visit www.bkammconsulting.com, or to learn more about the Space Coast Consortium Apprenticeship Program, call Bryan Kamm at 813-415-7514.